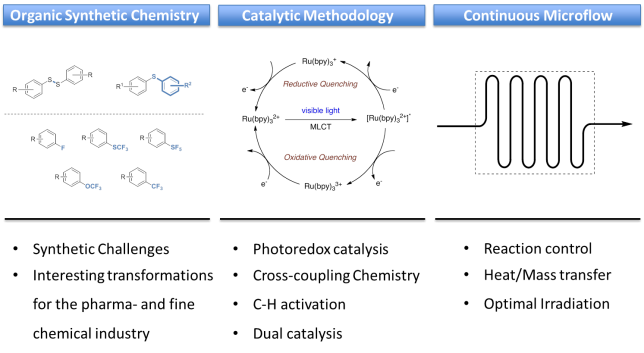 Research in the Noël group encompasses the development of new catalytic strategies and technologies for chemical synthesis. 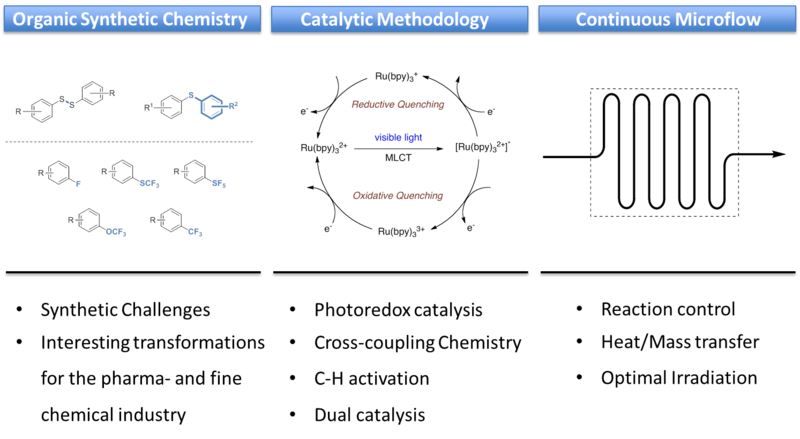 The catalytic targets are chosen in that sense that continuous-flow microreactors and chemical engineering principles can make a substantial impact. As such, we strive to develop new technological tools which are of interest to the pharmaceutical industry and can overcome challenges in a variety of specialty applications, e.g. organic synthesis, chemical biology, material science, etc. The aim of the Noël group is to build bridges between chemical engineering and organic synthetic chemistry. Consequently, long-standing problems in synthetic chemistry can be overcome, which includes scalability, gas-liquid reactions, photochemistry, electrochemistry and the generation and use of hazardous reagents. Please visit our Publications section to see our latest work.